This information is for website’s customers only. 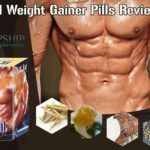 DropshipHerbalSupplements.com is renowned for its unparalleled customer support service. For us, each and every query is equally important. We assure that every person will get a personal consultation. All health suggestions will be provided by our herbal experts. Here is the list of FAQs that are mostly asked by our customers and website visitors. When should I expect my order to receive? All of our orders are shipped via Registered Air Mail from India and normally take between 10 to 15 working days for you to get the delivery, if you are an International customer. Is shopping from your website protected? Yes, it is. The shopping cart form in which you fill up the details of your credit card data while performing online shopping is encrypted by multilayered (SSL) technology. Moreover, all the credit card info and its further process is directly accomplished by PayPal which means that at no point we do have any authority to store any of your credit or debit card information. Do you accept refund or returns? First of all, we are positive that you will like our products, yet if you are unsatisfied with any of your purchase, please email us within first 7 days of merchandise receipt to ask for a return or exchange. Returned products must be in the original packaging, without breaking the seal and in original, marketable condition. Upon the receipt of your arrived merchandise, you will be delivered a refund of your purchased amount less handling and shipping charges. Refunds will be delivered in the same manner as initially paid. Can I use herbal supplements with any other prescribed medications? 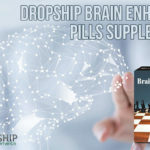 Although, our products never react with any of the allopathic medications but extra precautions can be made in order to avoid any health hazard. If you are taking some prescribed medicines and/or currently under some sort of treatment by a doctor, we would like to suggest you consulting your doctor before planning for the orders. In which countries do you ship your herbal products? 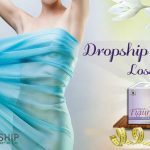 We ship to nearly all the countries except those that do not permit the use of herbal supplements or where our sent packages get returned or lost. Is your shipping really free worldwide? Yes, it is. Whichever the cost you see in our website is your final price. No additional charges are added for standard shipping. If you opt for the Express Shipping Service that delivers the products within a week does cost you extra. Do you have any outlets or retail locations? Currently we only sell our products via internet and have no outlets or retail locations. All of our goods, along with detailed product information and descriptions, can only be found at our website online in order to avoid the duplication.